As fishermen, we sometimes get caught up in the latest and greatest thing. 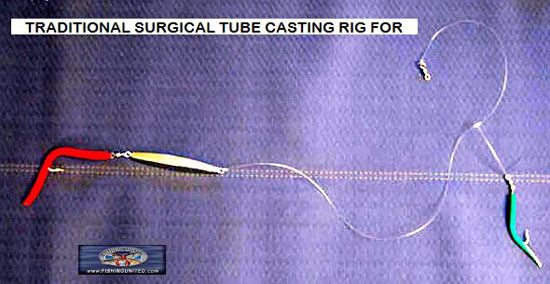 Whether its a new jig or a fancy reel, were always looking for ways to better our catch. Often overlooked is the technique we use. Most guys are content just tying on a 16oz Lav jig and bouncing it on the bottom. 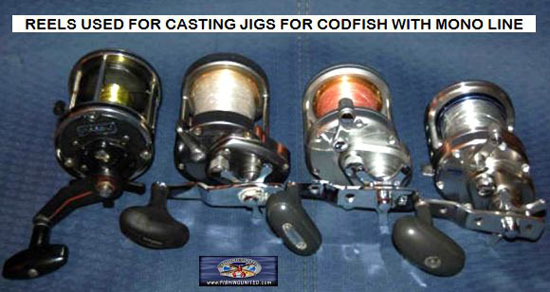 This seems to be the accepted method of jigging North and South of the Cape. And it works. Countless numbers of fish have fallen to this tried and true method. However, there are times when the fish want something different. There are times when the fish are chasing sand eels and are more aggressive than usual. That's when squidding shines brightest. Squidding is used to catch many different species of fish from bluefish to sea bass in our neck of the woods. When the pollack are around, it can be deadly. 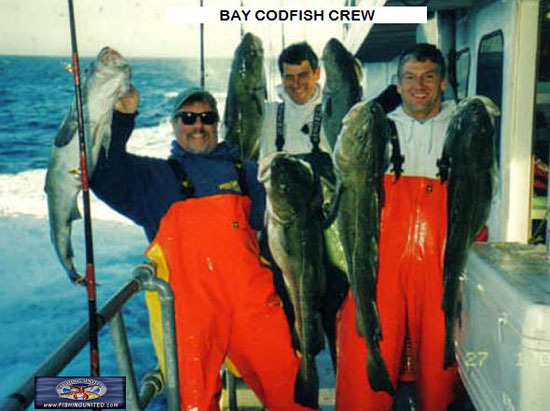 For this thread, we'll concentrate on catching COD but the techniques described work for other species as well. When preparing for a trip, there are a few things that I cannot be without: Tubes and Jelly worms. 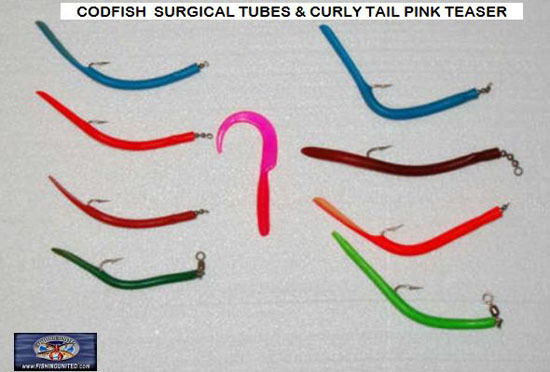 I like to bring Green, Red and Blue tubes with me as well as a good supply of Pink jelly worms. When the fishing is good, I'll go through a couple dozen jelly worms a trip. There are several types of reels I like to use. From left to right they are: Newell338, Torium30, Saltist40 and Saltiga40. I like to load my reels with 40 - 50 lb Ande MONO. I prefer MONO when squidding. I dont use braid. 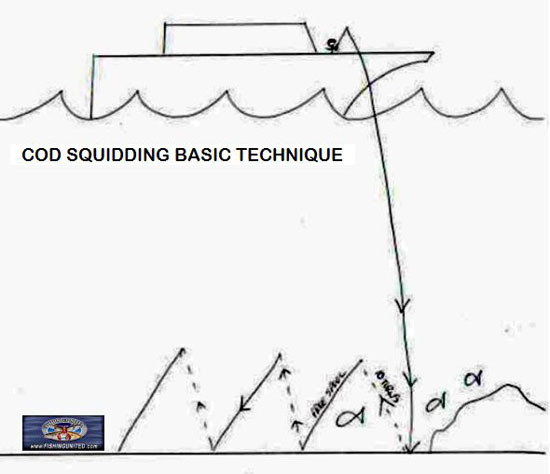 Rigging for squidding is straight forward. 8-16oz Diamond jig (depending on the tide) and a teaser about 18" above the jig. I'll use 60-80lb leader material. Below are 2 rigs I like to use: The first is with jelly worms on all hooks. The second with tubes. This will change in the course of the day depending on whats working. 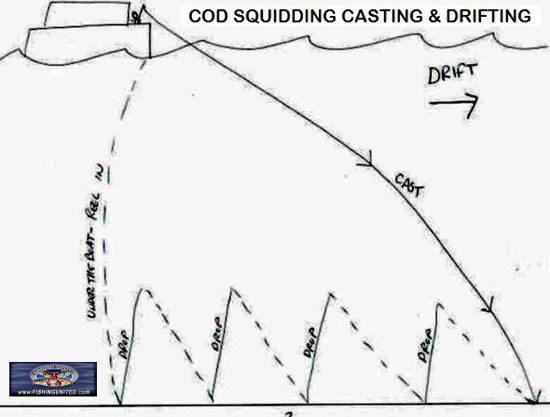 Squidding is basically casting out, hitting the bottom, reeling in a few turns, free spool to the bottom, reel in a few turns and repeat. Its simple in theory but there are a few twists that are important to understand. When yo-yoing the jig on the bottom, the rod is doing all the work. When your squidding, the reel does all the work. The jig moves depending on how fast or slow you turn the reel handle. Certain days require you to squid faster than others to catch fish. Every day is different. 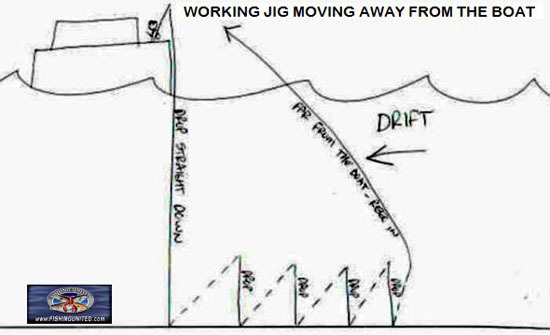 Below is a basic diagram of how you work the jig. Hit the bottom, reel 10 cranks, drop down and repeat. Its important to change speeds until you find the the speed the fish prefer.You may only need to turn the handle 5 cranks. Or sometimes 15-20 cranks. Experimentation is the key until you find what works. REMEMBER: You need to stay near the bottom! Depending on what side of the boat you are on, you might have to cast or you can drop straight down. When fishing "into" the drift, a long cast is required. Work the jig back to the boat as was previously described. 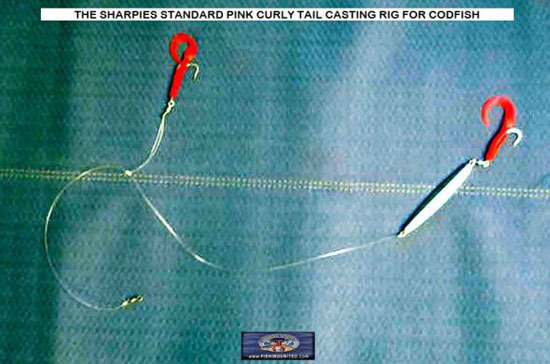 When the line is moving away from the boat, casting is not necessary. Just drop down and squid until your line is too far from the boat.